Absolutely amazing staffsubmitted by Shayna G. - Nov 12, 2018 |Recommended: YesLiving here is pretty great, but my favorite part is the staff. They have helped me through any issues I've had and are always accommodating to me no matter how small the issue may be. They understand that moving out for the first time can be shocking and difficult and they are more than happy to help any way that they can. response from property - Oct 02, 2018 Hey Michaela, We are so happy you have enjoyed your time here! response from property - Aug 22, 2018 Thanks Tobi, we have enjoyed having you as a resident and we look forward to having you again this Fall! Above average living space safe, pretty quiet, and clean.submitted by Morgan E. - Jun 26, 2018 |Recommended: YesIt's the perfect distance from campus and close enough to grocery store. The property has everything you need with friendly staff.submitted by Brianna B. - Jun 04, 2018 |Recommended: YesThe reserve is a quiet and comfortable place to live with amenities that make the community great The activities hosted by the reserve are fun and welcoming. Updates and Reminders are sent often enough to keep residents up-to-date and informed well in advance. I love living at the Reservesubmitted by Victoria K. - May 03, 2018 |Recommended: YesIt's absolutely great It's only an 8 minute drive from campus, rent is more than reasonable, the staff is friendly and quick to answer your questions, and maintenance attends to any problems in a timely fashion. Nice apartment, but could change somethingssubmitted by Morgan M. - Apr 01, 2018 |Recommended: YesI enjoy living at The Reserve. The location could not have been better. The staff is friendly, price is just-right, and the amenities are awesome and super convenient. I love having the gym and having a room to study and print things in. I wish the appliances kitchen and bathrooms and the furniture was a little more updated along with the carpet. People speed by the 300 building, so it is very scary to try and back out of. Great Communitysubmitted by Victoria H. - Feb 09, 2018 |Recommended: YesThe Reserve is a great place to live especially if you're in school. The office staff really tries to get to know the residents and they are super friendly Maintenance has always been timely. Ive never had an issue with other residents or the staff. response from property - Feb 12, 2018 Hey Victoria, Thank you so much for you review! We love our residents and we are so happy you decided to stay again for next year. Kind of Noisy, but Great Bang for Your Bucksubmitted by Maycee D. - Jan 11, 2018 |Recommended: YesIt's one of the better, more affordable places in Athens. Staff is friendly and helpful, power usage tends to be efficient, and maintenance is responsive. The only thing I dislike is the parking I often have to park far away from my building. response from property - Jan 16, 2018 Hey Mary, We are so glad you love it here and we are super happy to have you again for next year! Thanks! Nice property, well managedsubmitted by Erin J. - Jan 04, 2018 |Recommended: YesI've been at the Reserve in a 4 bedroom unit for a semester and so far I'm incredibly pleased with my choice. As far as the general property, the amenities are very nice. Grounds are well maintained, the exercise equipment is pretty extensive, the computer lab with printing included has been super helpful, and the front office management staff is always professional and willing to help. Specifically the Leasing and Marketing Director Danielle Mulherin has been incredibly helpful in resolving any concerns we've had. Maintenance is also always been very quick to respond to concerns and make sure we understand the issue and the fix implemented. At times, however, there can be somewhat broad windows for maintenance arrival time understandably usually due to high levels of requests and for things like Pest Control they knocked as they walked in and announced themselves. I would highly recommend keeping up with community emails so you know when services are coming through because once they get to the unit they pretty much come right in. I also take Athens transit at times and having a stop right outside the complex has been super convenient. The unit itself is very nice. It's spacious and all the furniture seems well updated the beds tend to be on the very soft side due to the type of springs in the frame allowing it to sink, so I put a wooden board under the mattress and it was fine . The appliances are pretty outdated, but we've been told they'll be replacing those summer 18 so we're excited for that. Noise in the apartment does travel, so consider that in the 4 bedroom unit 1 bedroom shares a wall with the stairwell, 2 bedrooms share a wall with the living room, and one bedroom shares a wall with the laundry room it shouldn't be a problem if your roommates are considerate in how late they watch TV run laundry etc. Overall I've loved living here and have already resigned for the following year.  I would recommend The Reserve to anyone. I enjoy everything about living heresubmitted by Soraya R. - Jan 01, 2018 |Recommended: YesPaying my rent is so easy because it's online. The facilities are great and if there's a problem, the issue is resolved relatively soon.